Don’s Moving & Storage is proud to offer top-quality moving and storage services for New York’s Capital District and neighboring cities in Massachusetts and Vermont. As a fourth generation company that has served the area since 1952, we’re the Albany movers you need when you want the best. Our family-owned Capital District moving company has provided organized and reliable moving services for residential, corporate, military, government, and international relocations. We serve the greater Albany area from our Albany office, and we’re committed to customer service. Our Albany moving company is a four-time winner of the Angie’s List Super Service Award and a three-time winner of AMSA’s ProMover award. When you work with us, you can trust that you’re working with some of the best Capital District movers around. Albany: Don’s Moving & Storage offers comprehensive moving services for households and offices in Albany. Saratoga Springs: For your Saratoga Springs move, there’s no one better than Don’s Moving & Storage. Colonie: No matter how big or small your Colonie move is, we’re ready to help. Clifton Park: Our Clifton Park moving and storage services are unmatched by the competition. Schenectady: When you’re looking for the most reliable Schenectady moving services, Don’s Moving & Storage is here to help. 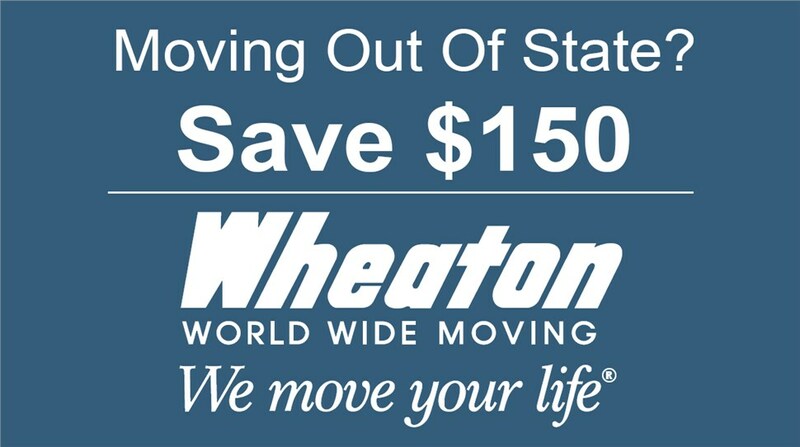 Troy: To ensure your Troy move is stress-free and efficient, work with us. Bennington, VT: Bennington customers know that we’re the best for residential and commercial moving services. Pittsfield, MA: Streamline your Pittsfield, MA move by adding a few helping hands from Don’s Moving & Storage. Delmar: Rated as one of the “Best Places to Live” by CNN/Money Magazine, Delmar is a hamlet in the town of Bethlehem, NY. Glenmont: As an Albany-based moving company, Don’s Moving & Storage proudly serves neighboring suburban communities, including the businesses and residents of Glenmont, NY. Latham: Our Latham movers believe in transforming the way people move, making it easier than ever through outstanding customer care and quality moving technologies. Guilderland: Moving your Guilderland home or business doesn’t have to be a hassle. With a little help from Don’s Moving & Storage, you can move to your new space sans-stress. Queensbury: Queensbury is an entertaining place to call home. From The Great Escape & Splashwater Kingdom to West Mountain, there's plenty to do all year long. Amsterdam: It can be difficult to move in Amsterdam. That's because the city developed on both sides of the Mohawk River. Gloversville Movers: When you need reliable, proven Gloversville movers, Don’s Moving & Storage has you covered. Glens Falls Movers: Whether you’re moving to or from the historic city of Glen Falls, Don’s Moving & Storage can help deliver a stress-free relocation. Loudonville Movers: Don’s Moving & Storage offers comprehensive moving services for households and offices in Albany. Mechanicville Movers: Are you stressing out over moving to a new home across the state or country? If so, you should save yourself the hassle by finding a team of reliable Mechanicville movers. Gansevoort Movers: Are you planning a household or business move throughout the beautiful Gansevoort region? Then you need the skills and experience of a trusted Gansevoort moving company to help you handle all the details and to ensure a seamless experience! Niskayuna Movers: Planning a household or commercial move can be an overwhelming feat, and you deserve the best of the best when hiring a Niskayuna moving company to handle all the details. Ballston Spa Movers: Exceptional service and fair pricing don’t have to be difficult to find—just contact the experienced and professional Ballston Spa movers of Don’s Moving & Storage! Ballston Lake Movers: When families and businesses in Ballston Lake need supportive and stress-free moving assistance, they know exactly who to turn to: Don’s Moving & Storage. Rexford Movers: Most people don’t look forward to their move because packing boxes and moving heavy items is difficult and time consuming. Slingerlands Movers: No matter what kind of move you’re planning or how much stuff you have to pack, the Slingerlands movers at Don’s Moving & Storage can provide you with outstanding moving services. From free, in-home surveys to comprehensive packing services, to residential and commercial relocations and more, we’re the Capital District movers you’ve been looking for. For more information about any of our services or to request a free quote, call Don’s Moving & Storage today or fill out our simple online form.